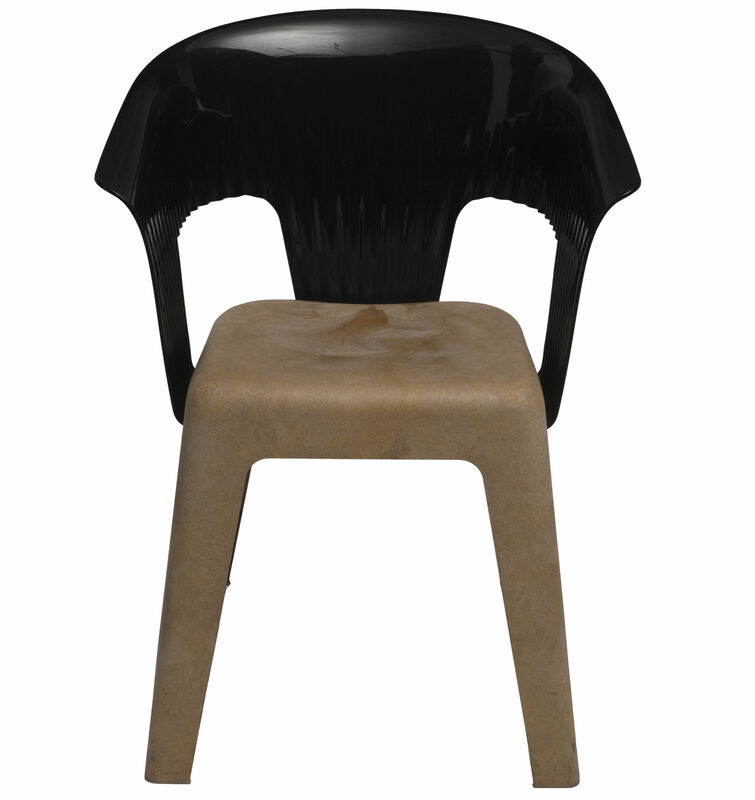 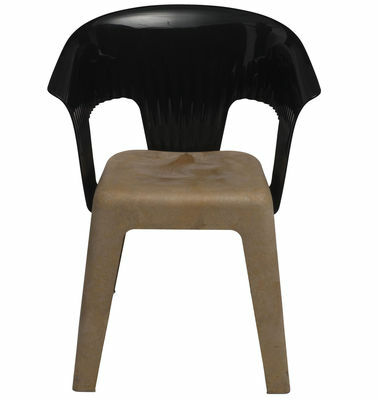 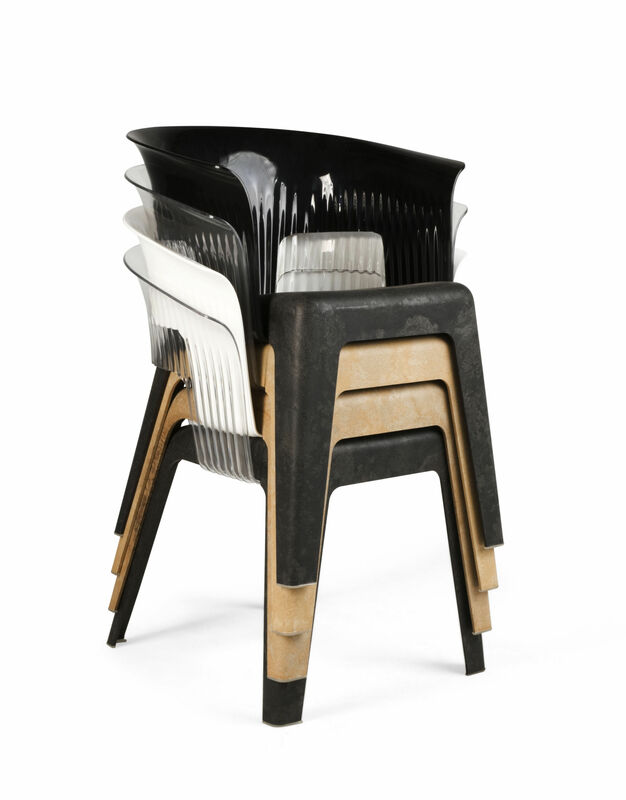 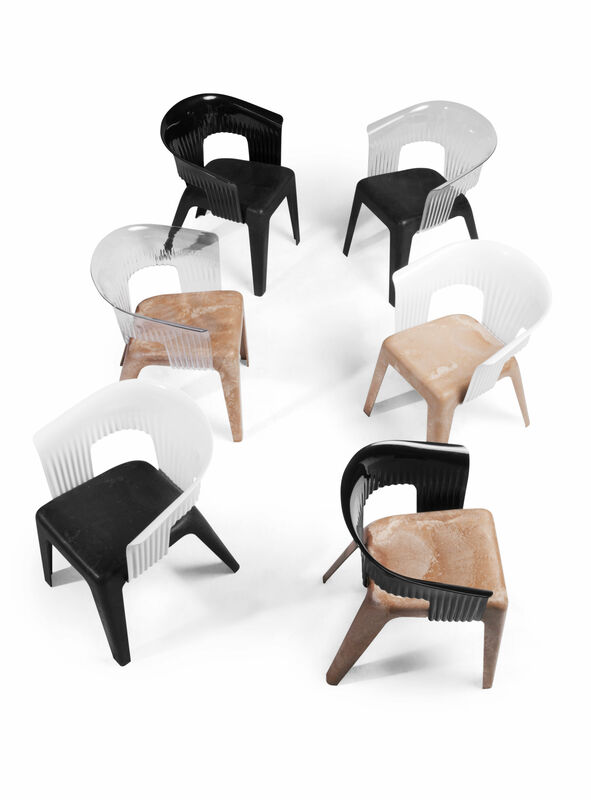 A stackable chair made of two materials. 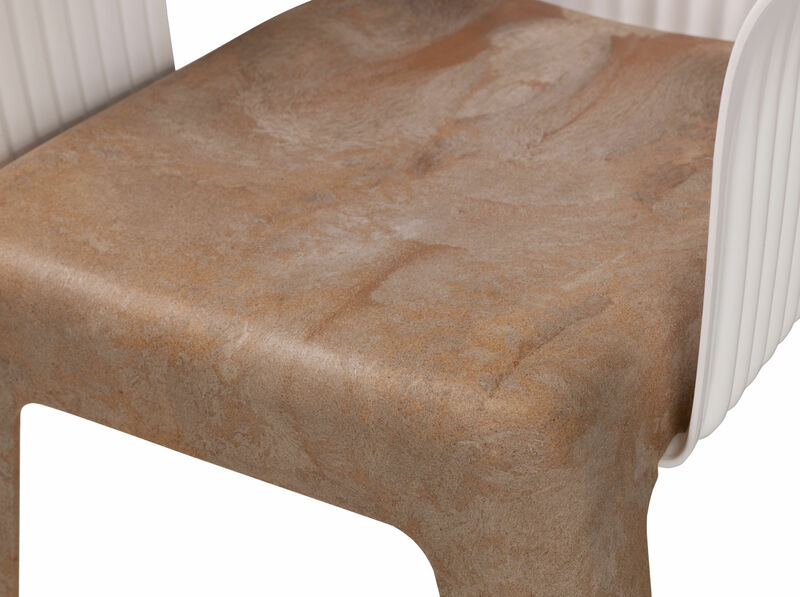 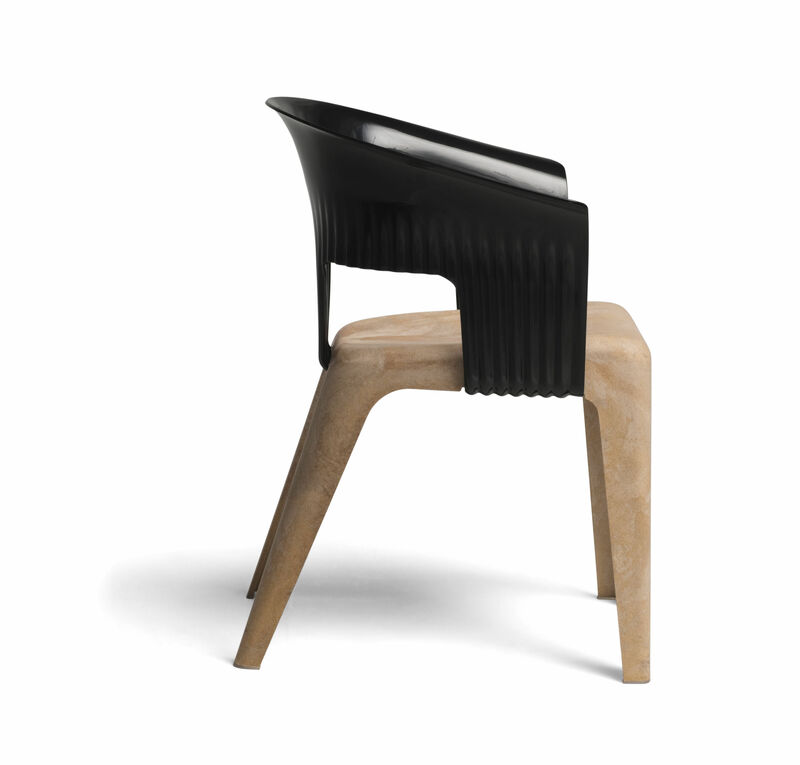 The seat is composed from a newly conceived material, PP-WPC, a blend of recycled wood (40%) and polypropylene (60%) that offers the same physical properties and tactile warmth of wood while still ensuring the performance typical of plastics. 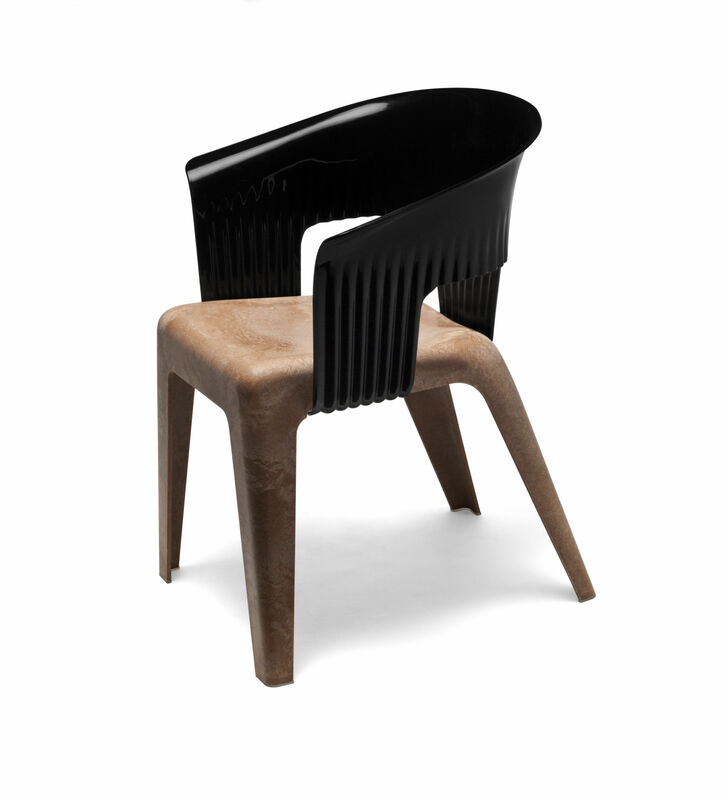 The ribbed back, similar to a body-hungging pleated collar, is made af mass-dyed polished polycarbonate.